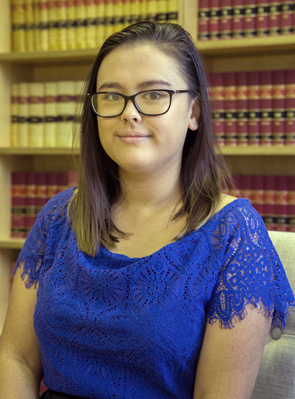 Samantha Curry was admitted as a solicitor in February 2018 after completing a Bachelor of Laws (Honours) and Diploma in Legal Practice at Newcastle University. Samantha grew up on the Central Coast of NSW and moved to Cooma in December 2017, where she began working at Blaxland Mawson and Rose as a Law Graduate. In her final year of studies, Samantha developed a passion for family law including complex parenting and property matters. She now practices primarily in family law, and also practices in a wide range of other areas including wills and estates, criminal law, civil litigation, property and employment law. Samantha is available for appointments in our Cooma office.